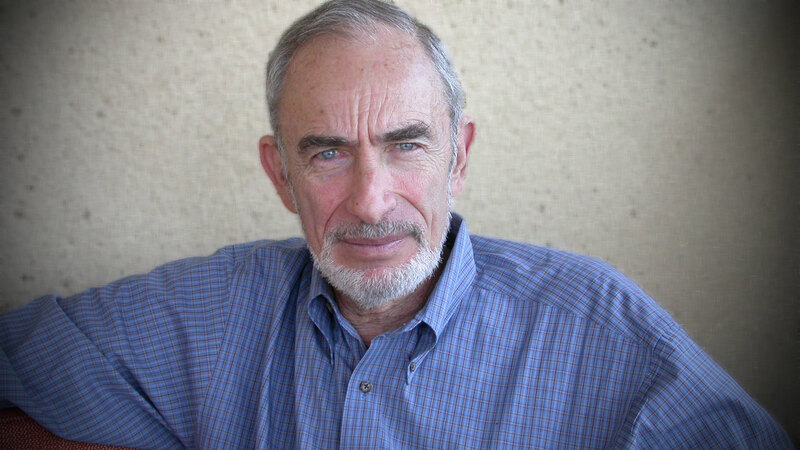 Paul Ehrlich predicted 40 years ago that a burgeoning world population would be the death of us. A few billion people later, it’s tempting to think we’ve neatly sidestepped the problem of overpopulation through improved technology and creative agricultural practices. But are we pushing our environment to the limit? In the late 1700s economist Thomas Malthus first predicted a potential mismatch of food production and human population. As he noted, “the power of population is indefinitely greater than the power in the earth to produce subsistence for man.” In the mid-1800s this Malthusian struggle for resources became the linchpin in Charles Darwin’s theory of natural selection. Darwin believed this tension between individuals for food, mates and living space drove the adaptive process. Today, ecologist Paul Ehrlich is calling for a different type of adaptation: cultural evolution. Ehrlich, Bing Professor of Population Studies at Stanford and president of its Center for Conservation Biology, has been the modern Malthus since he wrote The Population Bomb in 1968. Like an Old Testament prophet of impending doom, he set the 1970s as the time when expanding human numbers would begin to crash under conditions of global famine. He has suffered the wrath of his critics ever since. And his critics have more than three billion reasons to doubt his predictions. Now four decades later, not only has there been no population collapse, but our numbers have nearly doubled from 3.5 billion to 6.75 billion. Indeed, in the interim, millions have died from disease and malnutrition through food mismanagement and governmental manipulation, but not from an inability of agricultural production to keep up with population growth. While Ehrlich readily admits to being wrong about the timing, he believes the Green Revolution that has fed this growth has done more harm than good. With more humans reliant on fewer crop species (and these increasingly tied to synthetic fertilizers), humankind finds itself in an even more precarious position. Ehrlich worries that we have created a rising bubble of affluence through ever more burdensome exploitation of planetary systems. Riding the knife edge of climate change, water availability, and an environment corrupted under human assault, we may be pushing nature beyond sustainable limits. “And then what?” he asks. There is no bailout for a bankrupt ecosystem. Vision contributor Dan Cloer spoke with Ehrlich about his new book (The Dominant Animal, cowritten with his wife Anne; (see our review) and about how “cultural evolution” might help us change our ways of living before nature changes them for us. DC The first Apollo 8 photographs of Earth rising from behind the moon in 1968 seemed to be a turning point in ecological understanding and awareness. PE I was delighted for that reason. You could argue about the thin film of life-supporting area on the planet until you were blue in the face; but when we got that picture, it was just incredibly dramatic. That picture brings home to us our small place in the universe. DC I have heard you say, “I value people highly.” Why do your critics doubt that? PE It’s partly because under lots of circumstances, I say that we already have too many people. I have asked, “Should you have the number of children you want, or should you rather think about the kind of world those children are going to live in before you make that decision?” Is it a decision about wants, or is it about how much you care about your children and grandchildren? Some people do think there are too many people on the planet and want to kill most of them. But that is not my view; it’s something asserted by my critics. Forty years ago, and maybe even today, some would have liked the population of “other” kinds of people—“wrong” skin color, “wrong” economic system, “wrong” national origin, you name it—reduced. That view is utterly immoral, and not mine. I can’t tell you how many people we ought to have, but I can tell you that the vast majority of the scientists I know think that if we keep the population growing and always consuming more, we are going to see an escalation of the kinds of problems we are seeing right now. If the United States had only 140 million people, the issue of climate change would be much less urgent and our need for resources such as oil would be much less critical. DC You have said, “The human economy is a wholly owned subsidiary of the earth’s natural systems.” And you use the phrase “natural capital” in this context. What do you mean by that? PE We very carefully measure all our other forms of capital: buildings, financial, human capital, and so forth. But scientists are just beginning to measure natural capital, elements in nature that supply us with a flow of crucial goods and services that are not normally captured in economic statistics. Aquifers that supply us with clean drinking water, for instance, are being destroyed around the planet. Rich soils are a form of natural capital. They are formed by natural systems, and we tend to be wasting them at a rapid rate. Predatory animals, particularly insects that control the pests that attack our crops, are also natural capital. If we did not have them it would not be possible to protect our crops with chemicals alone; we would poison ourselves. Pollinators are part of our natural capital. The worth of the insects that pollinate American crops is at least $20 billion a year, and without it our diet would be much poorer, because so many of our crops depend on animal pollination. Countries should not claim that their gross domestic product (GDP) is going up like a rocket when their natural capital is being destroyed to power this growth. For instance, it’s very common for countries to destroy their forests and ship off the wood, or to pump their oil as fast as they can, without taking this depreciation of natural capital into economic account. DC But many of these materials are considered renewable resources. In The Dominant Animal you seem to be saying that your concern today is that the resource demands of the exploding human population could bring a collapse of our natural life-support systems. PE The forms of natural capital that are most important are actually renewable, but we are making them nonrenewable. Underground aquifers recharge naturally, and you can pump water from them forever if the climate doesn’t change. But if they are pumped too quickly, the rock may collapse so they cannot recharge. Or saltwater may intrude into them and they can’t recharge. Or, as is happening in many parts of the world including the United States, toxic chemicals are leaking into them, which cannot be removed without costs that you just can’t bear. In China, the aquifers are so pumped out that it is the only poor country I know of where you can drink a glass of water anywhere without worrying, because the Chinese boil every last bit to make it clean to drink. One reason their rain is so acid is the coal fires going all the time to boil the water. Soils are renewed on a time scale of inches per 100 years, and we are getting rid of them by inches per year in some places. Biodiversity, that includes those pollinators and pest-control agents, is another renewable resource we’re overexploiting. There is no question that we are running the agricultural system in a way that is unsustainable. So we are taking fundamentally renewable natural capital and making it nonrenewable. Overall, the nonrenewable resources like oil and coal, which can only be replaced on a time scale of millions of years, are not the main problem. It is pressure on the “renewables” that could bring the whole system down. DC Is it reasonable to hope that future technology will be an ecological savior? How do you view technology? PE We cannot just get rid of technology; it can help us solve a lot of problems (and it already has). But as far as I can see, problems are being generated much more rapidly than they are being solved. We can’t have faith in technology pulling a rabbit out of a hat each time, because the rabbits always turn out to have dirty droppings. Freons and CFCs looked like a very good solution to the poisonous refrigeration fluid problem for about 50 years. There is always a need for caution. There are just too many of us to go back to hunting and gathering. Technology is actually underutilized. The norm is to buy cheap light bulbs and not long-lasting, more efficient but initially more expensive ones. This is because most people don’t feel they can afford to put the money up front. DC Some argue that we should use the energy at hand today in order to build a prosperous world for all, and then new technologies that come from this process will be able to clean up the mess, so to speak. PE Right now greenhouse gas levels are increasing. And then what? The scientific community isn’t certain whether it will be catastrophic if we don’t get back down to 350 parts per million carbon dioxide in the atmosphere or whether we can go to 400 or 450 without ending civilization. Our track now will take us way beyond that. In all probability we have changed the precipitation patterns across the entire planet, and these will continue to change almost continually for the next 800 years at least. It will get drier in some places and wetter in others, in unpredictable ways. This is not just going to be a redealing of the cards so that, for example, Russia will be lucky and will be warmer. All over the world we have infrastructure fundamentally based on today’s patterns of precipitation or today’s glaciers. Our agricultural system is utterly dependent on flows of water, and those flows will be continually changing. DC In the past, wealth allowed you to buy your way out of trouble, but there are no gated communities against these changes. PE The idea that we can live upstream of the air pollution if we have enough money doesn’t work when there is no more upstream. It is important to ask, “What kind of world do we want? What are people for?” As GDP has doubled and redoubled in the United States and Japan, human satisfaction has not increased. Before we decide how to run the world, we ought to decide—not as scientists, but corporately—how we ought to live. And then we can talk about the best way to get there. We might be able to support 12 billion people on the “battery chicken” plan—that is, if we ate the minimum, minimized all other consumption, and moved around very little. Or if we want to live like people in Beverly Hills, then maybe a billion. We have not yet decided what we want to do as human beings, and that’s sad. DC Meanwhile, as we struggle with the population question, you also believe we tend to ignore the biosphere and hold it at arms length. PE We have grown so numerous and so dominant that laissez-faire isn’t going to work. We don’t yet know whether, after going through the peak of 9 billion, we can survive as a civilization that we would care for. That peak population probably means two or three times the energy consumption we now have. Look at all of the problems of the planet today, including warfare for resources; then try to imagine supporting something that much larger for a while in the future. We just don’t know whether the ecosystems will handle it. It’s the top of the ninth inning and humanity is hitting nature hard, but we have to remember that nature bats last. There’s no fear that the population will grow to infinity. We either stop it by adjusting the birth rates or nature will stop it by adjusting the death rates. My ethical system tells me we ought to avoid the latter. We don’t want to solve the population problem by having several billion people die in misery. DC You wrote in One With Nineveh that we need to purge society of “antique attitudes that so hinder efforts to find cooperative solutions to the problems of consumption, population growth, power, and equity.” What do you mean by “antique attitudes”? PE When I say “antique,” I mean something that we now know does not fit into our current environment. “It doesn’t make any difference how many people there are” is an antique statement. Having as many children as one can afford is an antique view. If you can afford a lot of children, then you are probably fairly affluent. So those children will be big consumers as well. What’s going to happen to your grandchildren when your children’s consumption creates an environment impossible to live in? Or consider oil drilling. The idea of solving an energy problem by drilling for more oil is antique because we know more than enough now to understand that this is not where we should be getting our energy. The business-as-usual scenario basically takes us down the drain. These things are not trivial. Assuming that everything is going to be okay is, in my view, an antique attitude. We have got to look closely at these things and decide what we want to do, what chances we want to take. What are the best societal decisions? Science does not give you answers; it gives suggestions. We spent xty-quadrillion dollars against the tiny possibility that the Russians would attack on the ground in Europe during the Cold War. There is at least a 20 percent probability that climate change will threaten our civilization. How much would be reasonable to spend now? If you want people to cooperate to help save the environment and produce a decent world, they have got to have enough to eat to keep their brains going without having to worry full-time about where the next meal is coming from. One review of our new book remarked that “the Ehrlichs do not understand that every new baby brings a brain to help solve our problems.” That is silly since just producing a brain doesn’t help solve problems. That brain must be properly nourished and educated before it’s going to be a problem solver. We are not short of a total number of brains; we are wasting the brains of billions of people by not giving them adequate diets and education. Getting the world’s population down to 2 billion may not be the right number, but we know the right number is below 6.7 billion. Humanity is likely to go through 9 billion. The assumption that I would make—this is my point of view, not science—is that the optimum would provide people with the maximum number of options for what they wanted: enough so there could be big cities and opera, and few enough so that those who wanted to live in wilderness could do so. Assuming modern technology, we came up with between 1.5 and 2 billion people—about the number of people alive when I was born (and there were big cities and lots of wilderness). DC You have said, “Humanity has the tools in hand to accelerate cultural evolution to the point where patterns that took thousands of years to develop can be altered in decades.” What is cultural evolution? PE When most people think about evolution they mean biological evolution—changes in human genetic information through selection, mutation, drift and migration. The reason we are the dominant animal is that we have acquired so much culture, so much nongenetic information stored in our brains, in computers, in the forms of our buildings and in other artifacts. Libraries contain much more cultural information than a cell has genetic information. In humans, genetic change is really slow because of our long generation time. We are not going to change our behavior genetically in the next 100 years, even with incredibly strong selection. Cultural evolution can be much more rapid. The amount of information, the direction and speed of transmission, and the mechanism of transmission are all different. We are trying to understand the rules of transmission and how to change them in the same way that biologists have done with genetics. Culture is a much more complicated system. For the rest of my career, whether that is 15 minutes or 15 years, I’ll be trying to figure out how norms can be changed without a dictatorship. In other words, what are the handles? How do you get changes in norms? DC If the biological imperative is to reproduce, and all populations have the capacity to grow exponentially, are you suggesting that we must make a cultural decision to override our genetics? PE That’s right. If there is anything that’s programmed into us it is to strive to out-reproduce our buddies. Genetic evolution would not work without that programming. When life was chancy and death rates were high, the question was whether you could keep birth rates high enough to avoid extinction. But we can override our programming. Various cultures have found ways, particularly on islands, to keep population size within their constraints. If you are not on an island you can always try to invade someone else’s territory, but on an island, you either control population size or it will be controlled for you. DC Jared Diamond writes of cultures that sustained themselves in small places and managed their populations through infanticide. Do we need to go in this direction? Is abortion a good contraceptive? PE No. Abortion should be available to anybody who needs it, but a good system of contraception should make it a very rare event. With good enough contraception it might disappear. My ethical position is this: we should do everything culturally possible to give everyone a decent living, a decent diet, and so on, and keep the death rates low, while we try to culturally adjust the birth rates to the right point, so that everyone could have decent lives. DC The Phoenix lander is on Mars right now looking for signs of a habitable environment. Do you think this sort of investigation helps us appreciate Earth’s habitability like the Earthrise photo did 40 years ago? PE I would hope so. I am in favor of expanding human horizons. We are a curious species, and we want to understand as much of the universe as we can. It is important to put some of our time and resources into exploration. At the time of The Population Bomb there were discussions of populating Mars. Now that we’ve seen Mars, not many are lining up to go. DC In front of the White House I once saw a black poster with a little blue earth drawn in the center and “Reality” scrawled below. Earth itself is really just an island, isn’t it? PE That’s right. I have often said if you look at the famous J-shaped curve of the increase in human population, it looks very much like the kind of growth curve you have if you let a female fruit fly loose on a pile of bananas. Of course, when all the bananas are consumed, the females disperse, find another pile of bananas, and the cycle is repeated. Unhappily, Earth is our only pile of bananas.